Come see what all the rave is about and try our fun Aerial Fitness Classes in Ottawa today! 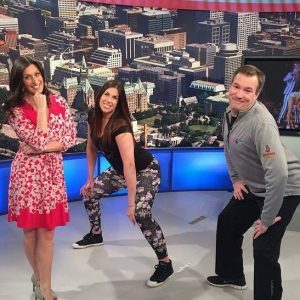 We’ve been on the news, newspaper out and about keeping Ottawa fun and exciting. Here are a few videos and articles about Cherry Blossom Studio. See why you should try fitness classes in Ottawa’s hottest aerial dance studio. For more information about our fitness classes Ottawa, contact us so we can answer all your questions. Check out our YouTube channel for videos of our past Showcase’s at our studio and around Ottawa showcasing aerial dance, aerial silks, pole dancing and chair dancing for fun and fitness.